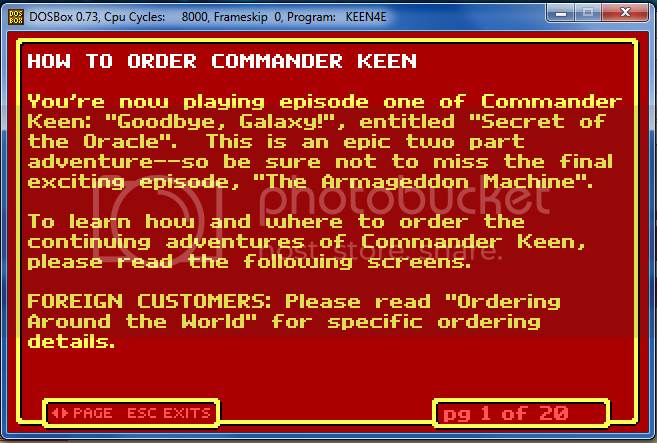 Picture from Keen 1 about ordering. My youtube Channel full of Lets Plays. Go and watch. I have noticed that Abandonia does not have a copy of Madddog Williams, I on the other hand do. 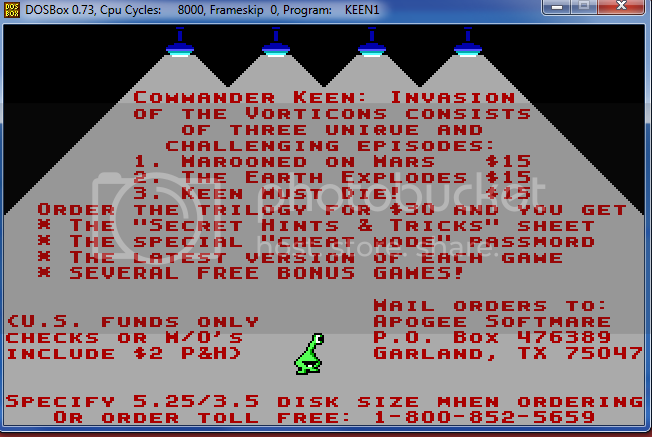 However this game is now Freeware, though it did used to be sold...I did check AR and they do not have a copy of it either. Moby Games listing of the game. So I just wanted to know if you guys wanted it or if I should take my goods elsewhere. I have also got Heros: The Sanguine Seven, which is apparently freeware. 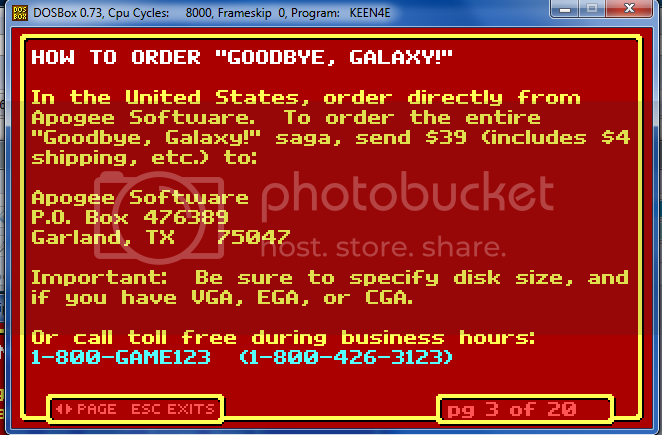 The license says this however the game still says it is not shareware. I would post the Mobygames link but it seems to be down. Accidently uploaded the folder, instead of the .zip, both are on there now, so you can delete the folder one. I will also add screenshots once I get further into the game, at the moment the first stage is still too hard, I am out of practice with this style of game.